HONG KONG — At street level Hong Kong is a teeming cacophony. Double-decker buses weave around bicyclists toting chunks of meat from market butchers, while narrow sidewalks, inconvenient crosswalks and crowded luxury shops make walking a task best suited for the nimble and patient. But 1,600 feet above the hoi-polloi, the city seems different. It’s bustling but serene, with boats criss-crossing the harbor against the topography of the glittering skyline, and green mountains rising up behind it all. That’s the view from the new Ritz-Carlton Hong Kong. When completed, it will be the highest hotel in the world. Set to open in December, it occupies the top floors of the International Commerce Centre, a skyscraper that is home to financial giants like Morgan Stanley, Credit Suisse and Deutsche Bank. It won’t open until December, but Forbes got a sneak preview. Unsurprisingly, one of the Ritz-Carlton Hong Kong’s best amenities is the view. One hundred eighteen floors above the city’s jam-packed roads, in one of the 312 guest rooms, even those double-decker buses look tiny. The panorama extends across the waterways of the South China Sea, teeming with signs of busy ports and international trade. Where there are now bamboo scaffolding and concrete, guests will find several trendy restaurants with vast windows and high ceilings, an indoor infinity pool and a rooftop bar. The design as depicted in renderings will be varied but classic; the vibe bright and airy in some parts of the hotel and soft and romantic in others. When it opens, the Ritz-Carlton will best the Park Hyatt Shanghai, which currently holds the world’s-highest-hotel honor. The Park Hyatt occupies the 79th to 93rd floors of Shanghai’s tallest building, the towering, bottle-opener-shaped World Financial Center. Luxuriously equipped with a tai chi courtyard and a spa, the hotel is located east of the city’s Huangpu River, in the rapidly developing district of Pudong. Other tall hotels dot the Asia-Pacific region, and there are a handful in Europe and North America. 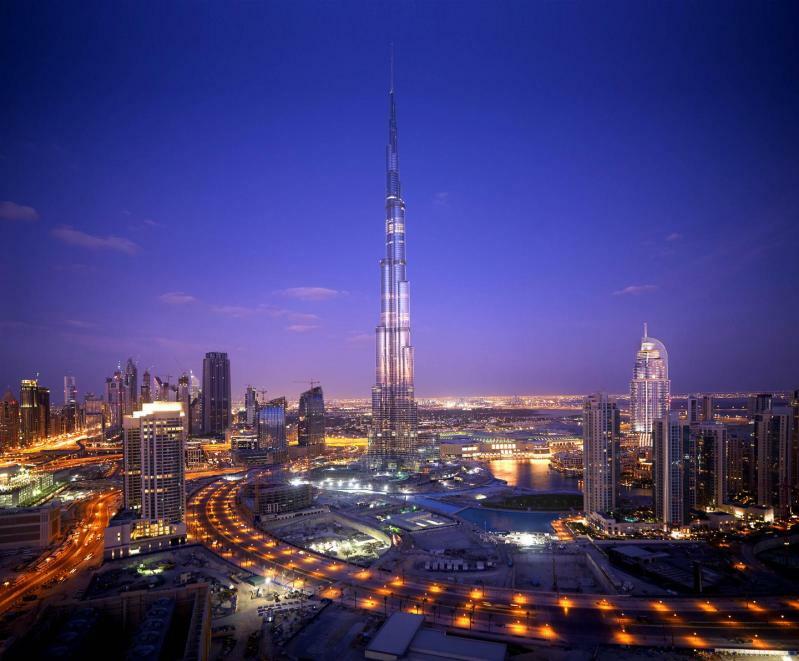 But the place with the highest concentration of skyscraper hotels is Dubai. 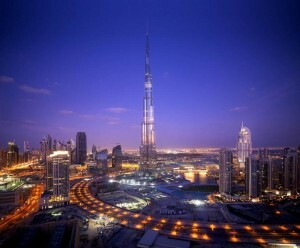 The Middle East’s capital of leisure and finance boasts the Armani Hotel Dubai, the Rose Rayhaan and the Burj Al Arab. The first, in the Burj Khalifa tower, is fashion designer Georgio Armani’s first hotel. The hotel, though, only occupies lower floors of the 160-level structure. Standing at 1,093 feet, the blossom-shaped Rose Rayhaan is the flagship property of an alcohol-free company, so it caters to families and business travelers. The most luxurious, the Burj al Arab, is located on its own man-made island. Visitors can arrive in style–either by helicopter or in the back of a Rolls Royce limousine. A brigade of butlers services the 202 duplex suites, in which guests can choose from 13 different pillows and quilts. Global business and pleasure travel–and thus hotel revenues–took a hit during the recession. But Asia is on the go again, and the Ritz has taken notice. Of the visitors to the brand’s Asian hotels, 70% hail from within the region. Of those, 60% are Chinese. While the group boasted only one hotel in greater China as late as 2006, by the end of this year it will have eight. Ritz-Carlton has staffed Chinese speakers at its hotels in New York, San Francisco and Barcelona, DeCocinis says, and there will be a focus on providing food and amenities in Hong Kong that suit their expectations. The Ritz’s sheer height may beat its rivals in Shanghai and Dubai, but DeCocinis says service is his focus–not superlatives.